Welcome to Nicole's /dmitup & Kristiane's/viadisaster graphics and media journal! Here you'll find our latest work, feel free to affiliate us! Yup, like the sign says, I moved to monorailed. It's been ages since th elast time I updated, 6 months ago I posted two fanvideos and 9 months ago I posted my last icon post. This place has been innactive for quite a long time now. I won't delete the comm, this place will work as an archive. 36 icons in total. 2 wallpapers. The big bang theory, The mortal instruments series , Kristen Stewart and Lady Gaga. I think i'm finding a new addiction, heeeeee. It's the first crossover video i've made and i'm quite proud of it. Summary: After breaking up with those who they loved because they couldn't accept their true nature, logan and blair realize that they don't have to change who they are to feel happy and in love. IF YOU WANT TO READ THE ENTIRE STORYLINE OF THE VIDEO, IT'S BEHIND THE CUT. Notes: I'd love it if you watched the video in HIGH QUALITY, since the quality doesn't look all that great in Standard quality, at all. I haven't made fanvideos in ages,really. It's all thanks to my old computer so these are my first videos made with Sony Vegas 7.
summary: It describes how Ryan and Taylor's relationship evolved after Marissa's death. Starting from the slow hesitation to realizing how happy they are when they are with each other and how it will never be over for them. 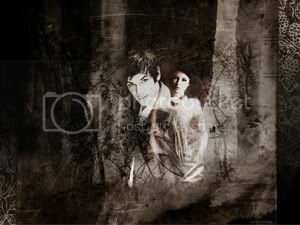 This is just a video i made based on Edward and Bella's story. There isn't much of a specific story in the video, it's simply based on them falling in love and Edward protecting Bella. Twilight : 23 Midnight Sun quotes,5 general icons. 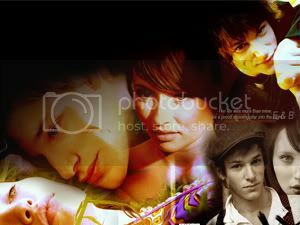 2 Dream team ( Twilight),1 Gaspard Ulliel . I got a new computer, one that actually makes me enjoy using photoshop. 1. 3 icons / person. 2. i need good quality pictures to make the icons, please. 3.uh, don't mind my preferences when it comes to ships, just no harry/ginny,please.